Making big miracles for tiny humans can look easy. 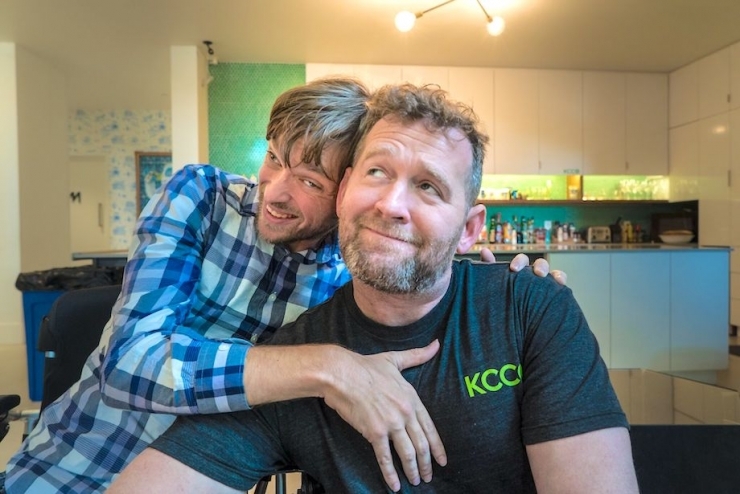 Here’s John (and our friend Zach Anner) at HQ last weekend. I’ll bet this isn’t what you thought John would look like on a Sunday morning. And this is after hours of interviews, B-roll, triple-nuked coffee, and minor technical difficulties. I’m sure if you ask him, though, he’d say it was totally worth it. Back in 2011, Zach won a contest to have his own show on the Oprah Winfrey Network. It only lasted six episodes (sorry, Zach! ), but now he has a YouTube channel with more than 300,000 subscribers and 5 million views. 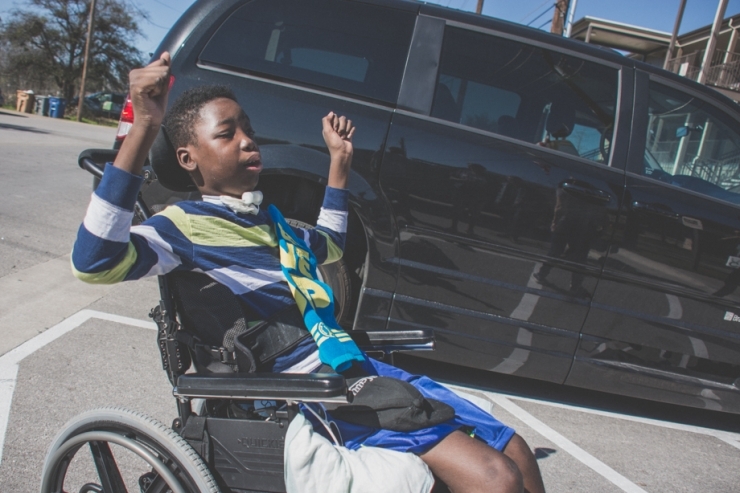 Zach was born with cerebral palsy and uses a wheelchair, both of which are relevant to our interests. That, and he’s met Oprah. During the shoot this weekend, which you’ll hear about soon I swear, Zach made a comment about Oprah giving away cars like it’s NBD, and that got me thinking... Number one, Zach sure likes to name-drop. Number two, we do make this van giveaway thing look good, don’t we? This week, Chive Charities is giving away our 81st vehicle, and though it looks easy, it takes a mighty effort to be Oprah, even for Oprah – you think she lifted a finger to get 276 cars to downtown Chicago? Lucky for us, we’re blessed with an awesome group of monthly Green Ribbon donors, the scrappiest, most patient programs team, and corporate partners like BraunAbility, who are copiously generous with discounts and sponsorships. We love every one of them so hard. It’s a rough road for our recipients, too. By the time we meet them, they’ve usually battled insurance, held fundraisers, been denied by other nonprofits, and prayed for a miracle. Their relief is epic. Emma and her family waited FOUR years for this day to happen. FOUR. Emma’s mom Joy is literally a warrior. (Not literally. Don’t you hate when people do that?) 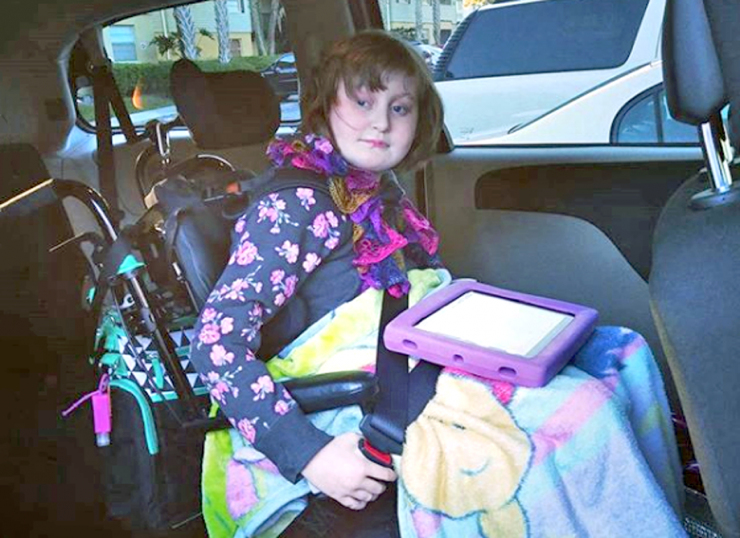 She followed all the usual leads, but in a move near and dear to my heart, she’s been tagging her Instagram pics with #EmmaNeedsAWCVan for years, snapping pics of accessible vans and posting about the challenges of parenting a growing special needs child. She’s been on a mission. 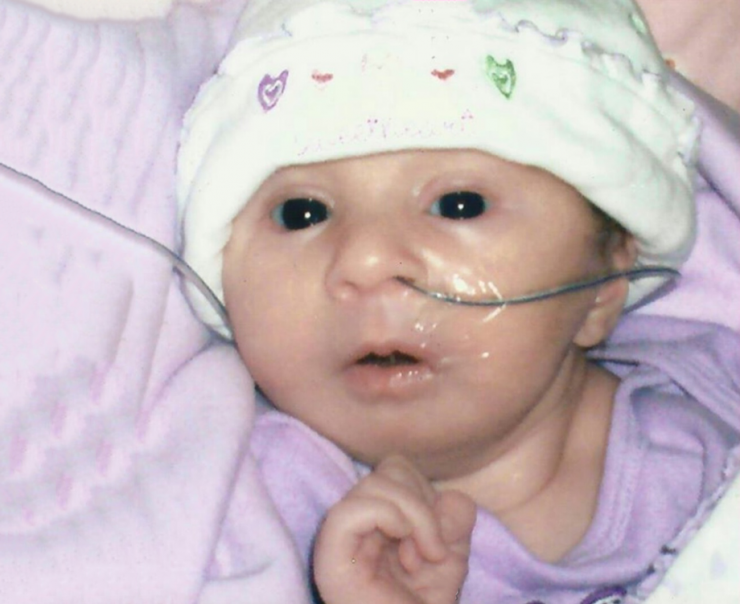 The mission began in April 2007, when Emma was born with problems no one saw coming. 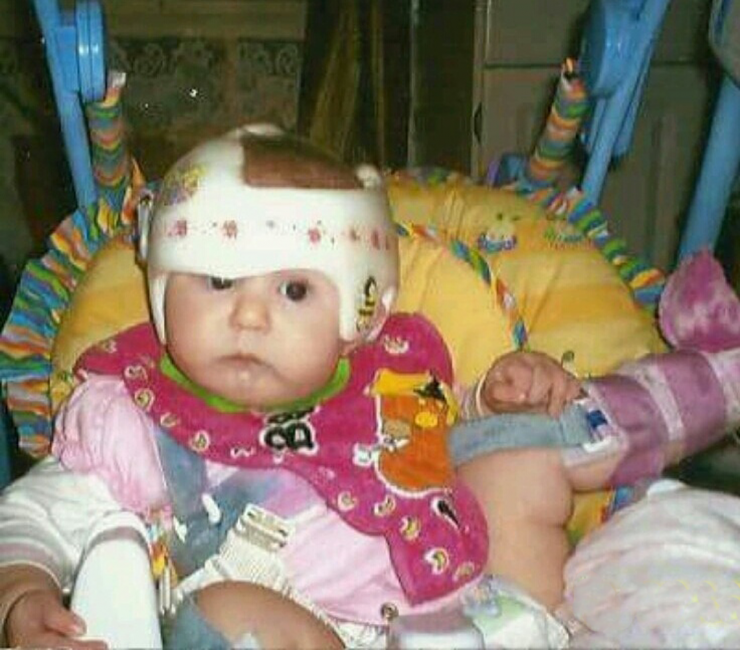 Among her many issues was a cleft palate and trouble breathing, and she was also missing an ear, leading doctors to suspect she had a chromosomal disorder. 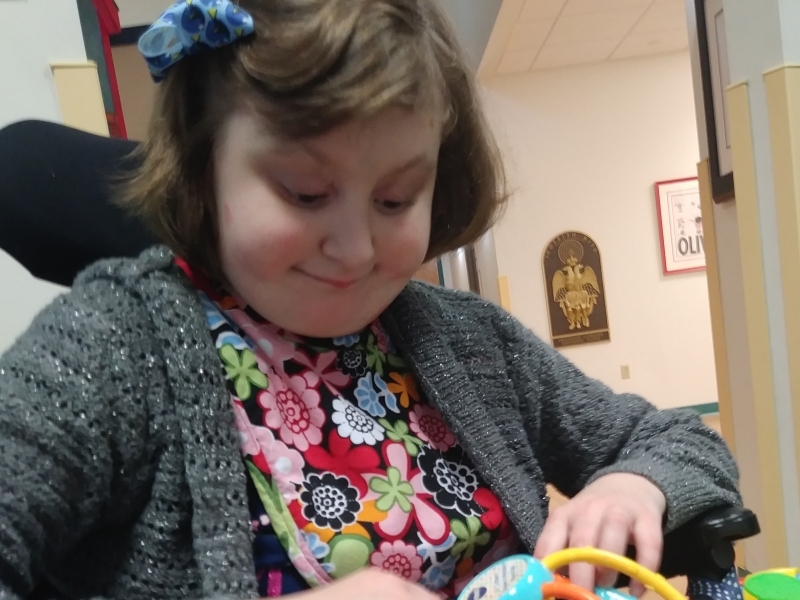 Tests confirmed Emma has Emanuel syndrome, which causes severe delays in mental and physical development, particularly related to her skull and face. 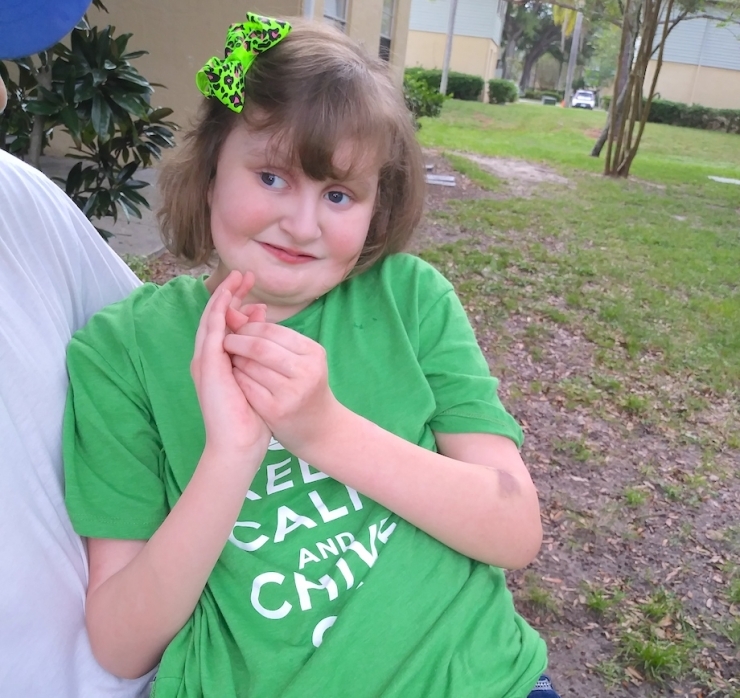 Over the years, she’s been diagnosed with epilepsy, autism, psoriasis, and a long list of other conditions, and endured multiple surgeries and procedures to improve her quality of life. 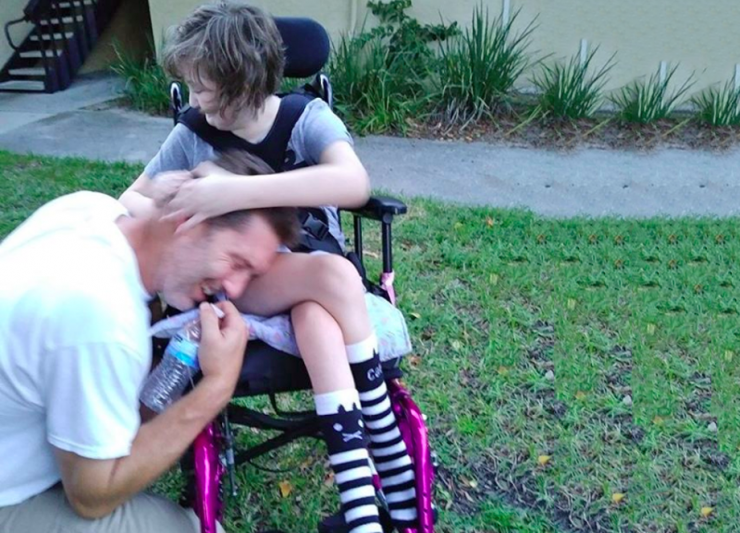 “She loves getting her dad in a headlock,” Joy laughed. O.K., understanding the feisty thing now. 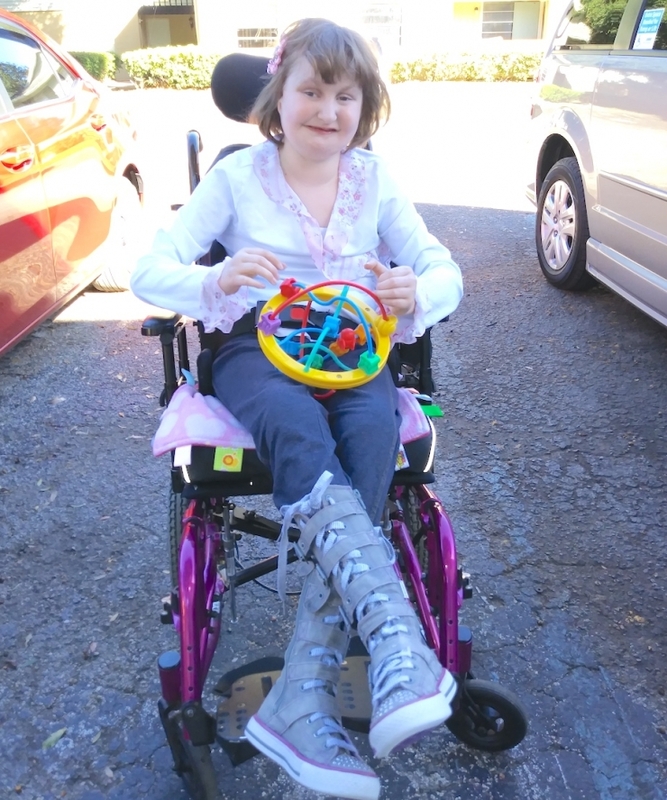 Here’s Emma in her wheelchair and a pair of saucy kicks. 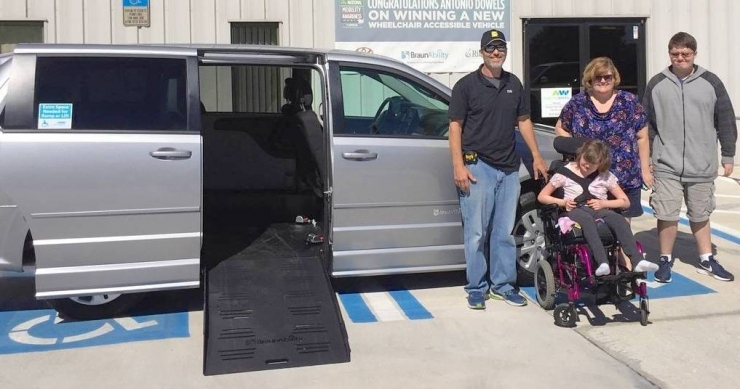 Before Chive Charities pulled an Oprah and granted her family a new van, every little trip was a complicated, strenuous, and frankly, unsafe process. Because of the wheelchair logistics, not the shoes. There were missed appointments and school days, and a whole world out of reach. Take Bubba to school? No problem. Love our new van. We’re so happy Emma’s wait is over. That face says it all. It’s a big job making dreams come true week after week, and we sure could use your help. 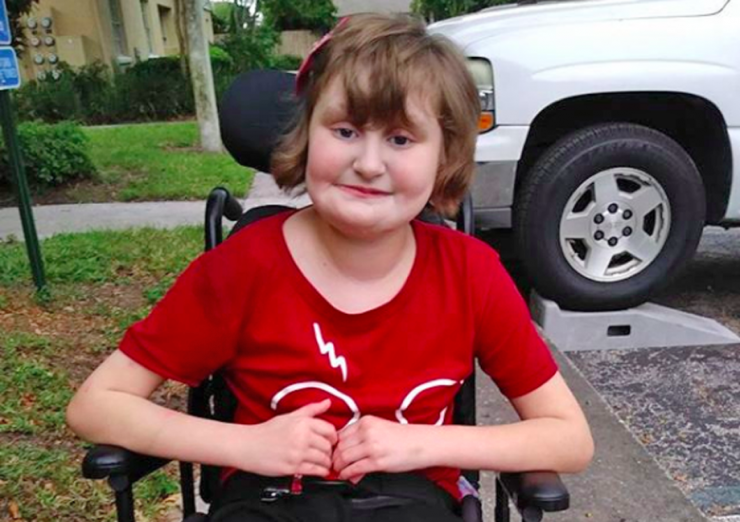 Click HERE to join the small but mighty team making the world 10% happier for kids just like Emma.